High levels of stripe rust have been confirmed in Southern parts of Texas, and expected wind and wet weather could carry the fungal spores north. Its path could cause infection across the state and into northern states like Oklahoma, and even into Kansas. Experts at Kansas State University Extension say that severe cases of stripe rust in Kansas are likely if areas of Texas and/or Oklahoma have severe outbreaks. 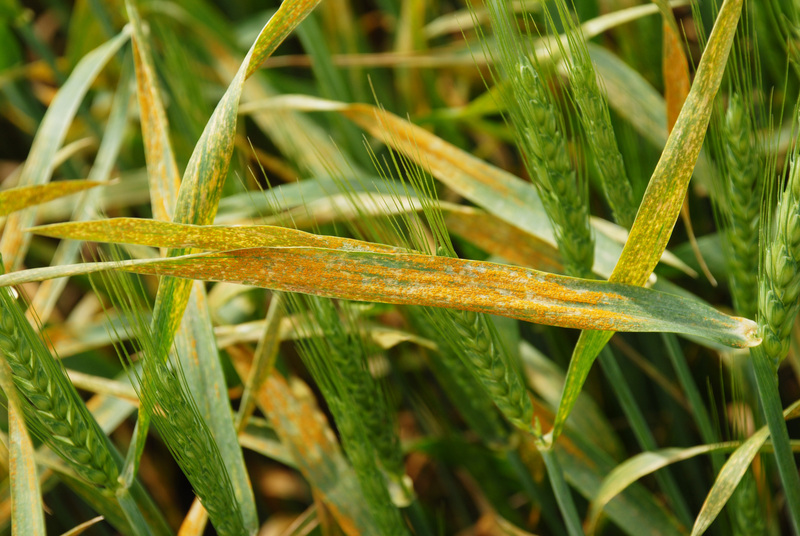 Experts go on to say that stripe rust can cause yield loss of 40% or more if it infects a susceptible variety before heading. It’s important to listen to scouting reports, especially if your area is expecting cool temperatures and rain, or if neighboring areas have confirmed cases of stripe rust. If you find stripe rust in your field or expect it to show up, consider applying Trivapro® fungicide at flag leaf timing for a 1-pass program. If disease severity dictates multiple treatments, a first application can be made at herbicide timing. A proven performer, Trivapro works harder and lasts longer to provide preventive and curative control of stripe rust and other key diseases. In the trial below, Trivapro was applied twice and kept disease severity low and produced higher yield than older fungicide programs.